Okay so I know this one is odd because technically I can get food whenever I need by walking to the fridge. But Sheldon just has to whistle at me to let me know he wants food or treats and on command I will do exactly what he wants me too. It's like if we had a bell that we just rang when we were hungry. You basically have room service 24/7 and if that aint one of your top dreams are you even living!? Rub my back for 20 minutes and I will love you forever. Now when Sheldon is sitting on my legs I will stroke his back for hours upon end until he decides he has enough and jumps off. Imagine all the back rubs all the time. I mean when I see a GuineaPig the first thing I instantly do is rub it's back and tell it how adorable it is. Living that pampered life though! Just like back rubs, play with my hair for a few minutes and I'll also love you forever. I don't know what it is but don't you just love it when someone starts messing around with your hair!? Well Sheldon has long hair and I'm constantly just rubbing it and twisting it and can you imagine someone doing that like every five minutes because hello heaven! Sheldon is very much me, in the fact that we don't like to move much and we love sleep. Do you know those once off lazy days you get every now and then and they're just total bliss!? Well Sheldon lives that life everyday and I'm so extremely jealous of him. Apart from the times where I make him do a trick (yes I thought my GuineaPig to do tricks, roast me!) and you can just tell by his face that he's calling me every name under the sun but he proceeds because treats. And these are just some of the reasons I think GuineaPigs are my spirit animal. Sheldon is basically me and when I call him lazy everyone in the house does say "Well he follows his Mother." I'm not ashamed though, lazy life always! Being an adult is hard sometimes so you just need to take a nap or two a day. You can read all the posts I've done about Sheldon here! I have two guinea pigs and I swear they're my spirit animal as well haha - I love the idea of lazy days everyday! I love guinea pigs so much, yours is so cute! This is such a cool post! 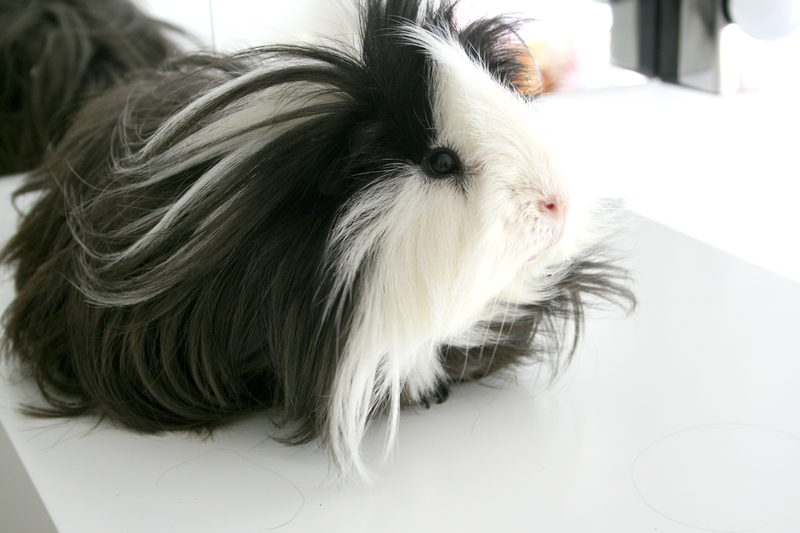 I really want to be a guinea pig now lol Sheldon is just gorgeous!